Convenient Location in Allentown, PA Situated along the Lehigh River, Allentown is a vibrant city rich with history and full of award-winning parks. With a convenient location just minutes from Lehigh Valley Airport (LVI). 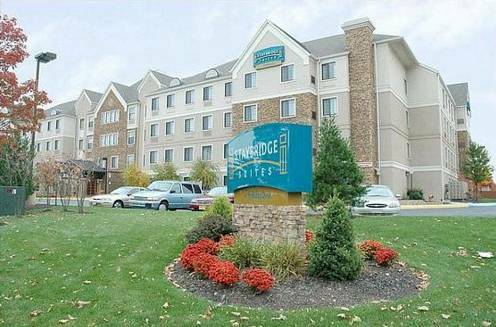 The Staybridge Suites Allentown Bethlehem Airport a perfect choice for a short trip or an extended stay. The hotel's location in Allentown, PA is ideal for corporate guests, as we are near top companies, such as St. Luke's University Health Network, Broadcom Corporation, B. Braun and FL Smidth. You can check your email with the free Wi-Fi access and our 24-hour Business Center offers plenty of support. The hotel has a shuttle that can take you to any company or office within five miles of us. From sports to family entertainment, there is plenty to see and do in theLehigh Valley area. Spend the day at Dorney Park & Wildwater Kingdom, where you'll find numerous roller coasters and rides. Blue Mountain Ski area has exciting year-round activities, including skiing, tubing and mountain biking. We are also just a short drive from the Lehigh Valley Zoo, PPL Center Arena and The Crayola FACTORY. Whether you're here for a short visit or an extended stay, our hotel's accommodations are sure to exceed your expectations. Cool off in the sparkling, outdoor pool and work out in the Fitness Center. Enjoy a free daily breakfast bar, and Free Evening Social Receptions Monday-Wednesday from 5:30pm-7:30pm.